I had been in Puglia for about an hour and a half. I was already full and, apparently, in trouble. Here’s the image we Americans have been sold: For the past few thousand years, Puglia, the region encompassing the heel of Italy’s boot, has been the summer destination for young, happy, beautiful Italians, who enjoy pristine beaches, crystalline water, reliably perfect temperatures, fresh fish and midnight parties held in ancient seaside towns laid out in white stone. But according to my Italian friends (the kind who live in Italy), we had it all wrong. Puglia, they told me, is far better in the winter. Granted, it’s too cold to swim, but the food is tastier, the shops are emptier and the prices are lower. And the lack of attachment to the beach encourages exploration of the area’s inland charms. It’s like discovering an entirely new Italy — or at least an Italy that is only populated by Italians. If you are planning your summer trip now, here’s my advice: wait. The off-season, October through April, is the time to go. During my February trip, I found myself in the small Pugliese town of Casalini, in a small restaurant called Locanda del Ristoro. Ghigo, my friend and travel companion (born and raised not far from there), suggested we try to eat some more before Daniela returned from the kitchen with another reprimand. It seemed an impossible feat. Our table was covered in terra-cotta bowls filled with balls of burrata cheese the size of golf balls; more balls of burrata the size of tennis balls; fried meatballs; eggplant Parmesan; saucy, stewy dishes; unidentifiable fried things; faro bean salad with oil and herbs; puréed fava beans with laces of sautéed chicory on top; and cold fennel wedges for cleansing the palate. This is what happens in Puglia when you order the antipasti. And we had foolishly ordered pasta as well. On the upside, we were apparently not the first patrons to run into this problem: Locanda del Ristoro has take-home boxes. What Locanda del Ristoro is to authentic dining, Acquarossa, named after the groundwater that turns red in the clay soil, is to authentic lodging. 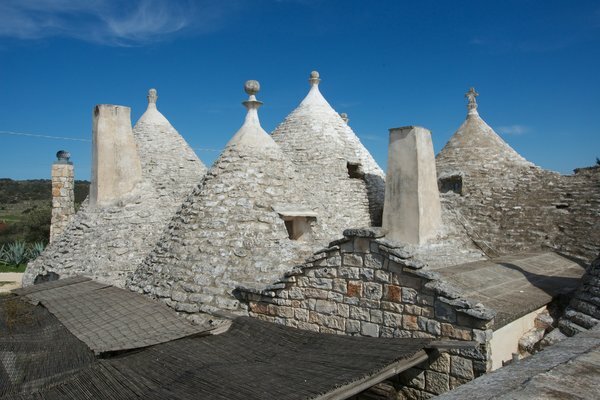 The hotel is small — Mr. Montinaro has nine apartments, in 26 trulli, the famous conical stone houses that date back centuries and are indigenous to Puglia. “My idea was to create a country house, not a hotel,” said Mr. Montinaro, a handsome man with a dark complexion and shaved head. Acquarossa, a hotel built in conical stone houses that are indigenous to Puglia. This is Lesson No. 2: You may be in southern Italy, a mere ferry ride from Greece, but you will be cold. Puglia in the off-season is damp, rainy and bone-chillingly cold. But sitting fireside, sipping an Americano, it was easy to enjoy the slower, cozier side of the region. If, on the other hand, you’re looking for luxury and lots of it, try Borgo Egnazia, a masseria, or fortified farmhouse. The resort — consisting of a 63-room main building, a 92-room “village” of apartment buildings and 28 private villas — is a sprawl of giant, stacked white blocks, sitting right on the water. Pools (plural), a golf course, a bar scene worthy of South Beach, and bed linens with astronomically high thread counts — this is where you might go if you were a Hollywood celebrity, like, say, Justin Timberlake or Jessica Biel, who were married here last fall. But here’s the really beautiful part: Throw in a little cold weather, and all the hotels in the area drop their rates significantly. Borgo Egnazia is one of a handful of five-star masseria along the coast that swells to capacity in the summer, but in the winter, a double room drops to 220 euros, or about $278 at $1.26 to the euro; it’s more than twice that in August. And service in the winter may be even better (the waiters seem genuinely grateful to have something to do). The beaches — Puglia’s primary draw, according to the summertime postcards — are deserted in the off-season. The lounge chairs are stacked up, the seaside restaurants are closed, and the only creatures along the shore are the sea gulls. Lesson No. 3: In the off-season, head inland to the mountains. Drive into the hills, and a whole new world opens up. Ghigo and I made our way to the small, nontouristy town of Cisternino — a town you could walk, end to end, in about 10 minutes. A perfect day in Cisternino would start at a pasticceria called Cremeria History Vignola for a glass of prosecco and a plate of mandorle atterrate, or “landed almonds,” a local treat of almonds flavored with sugar, lemon and anise. Before one glass of prosecco becomes two, walk down the block to Baol, a small shop full of handmade dresses, scarves, jewelry, housewares and a few local, gossiping women. Chat up the owner, Barbara, who will invite you to sit on the balcony and enjoy the view of what seems to be all of Puglia. You will entertain her offer for a minute before remembering the blustery conditions outside. Instead, walk up the street to Osteria Bell’Italia for an order of purea di fave, whipped fava bean purée served with pickled red onions and chicory (you could eat this all winter and you just might), followed by whole wheat pasta served with bread crumbs, olive oil, diced tomatoes and broccoli rabe. Once you’ve polished off a bottle of the house red wine, sit back and wait for the rain to stop. It might take a while so go ahead and order a coffee. The owners of Osteria Bell’Italia, in Cisternino, with a plate of fava bean purée. Lesson No. 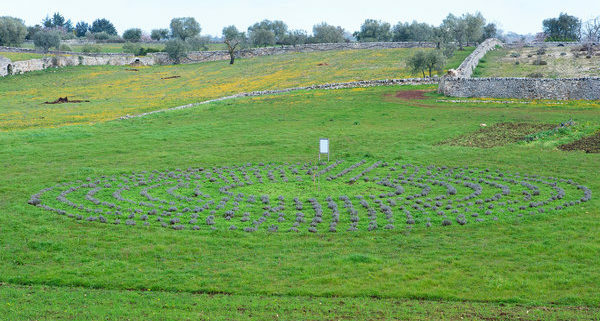 4 unveils itself in short order: Winter is the time to visit a farm in Puglia. All those specialty items you’ll find in local shops — marmalade, nuts, olive oil — most likely were grown, harvested and packaged a few miles away. 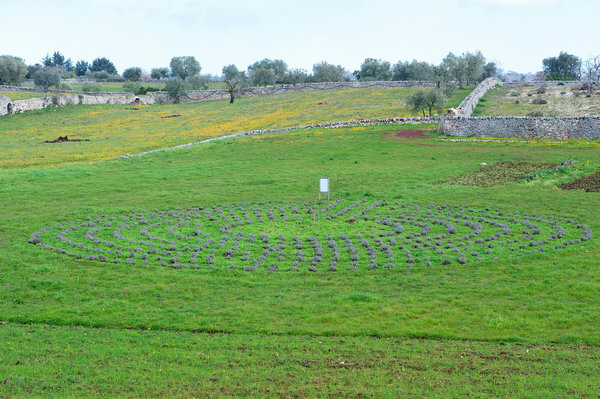 This quest will lead you directly to the Masseria Il Frantoio — part restaurant, part hotel and part organic orchard, primarily producing olive oil from 4,200 olive trees, some dating back over 2,000 years. It’s not exactly undiscovered — in fact, the owner, Armando Balestrazzi, will happily show off his book of press clippings — but because of the time of year, Ghigo and I had our own private olive oil tasting and lesson on the process. Deeper into the hills — and therefore deeper into local wintertime culture — is Pomona, an organic fruit farm owned and run by Paolo Belloni, a Milanese fashion photographer who moved to Puglia in 2004. Mr. Belloni’s mission is to save nearly extinct species of fruits, primarily figs. “Figs can feed the world,” he said, revealing what might be his real mission. Mr. Belloni has over 900 kinds of fruit trees (including more than 300 kinds of fig trees); he sells cherries, apricots, prunes and nuts in the summer and various marmalades in the winter. Though Pomona is technically open to the public Thursday afternoons and Sunday mornings by appointment, I got the feeling that Mr. Belloni would rather tend to his orchards than entertain tourists. The easiest — and pretty much only — way to get to Puglia is to fly into Brindisi or Bari (Alitalia has regular flights from major Italian cities). Dining at Masseria Il Frantoio. Locanda del Ristoro, Via Brindisi, 39/41, Casalini; (39-080) 444-9149; lalocandadelristoro.com. Acquarossa, C. da Acquarossa 2, Casalini; (39-080) 444-4093; acqua-rossa.de/it. 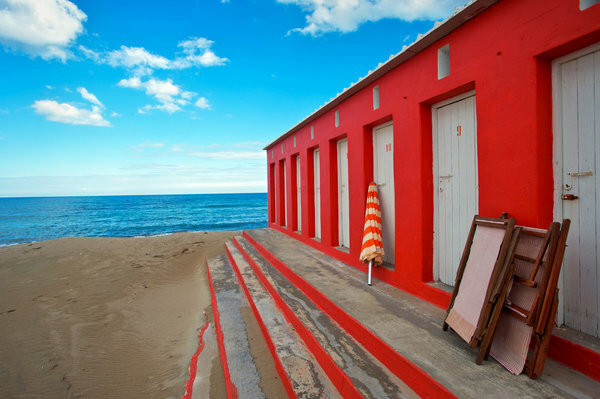 Rates start at 45 euros per person, about $57 at $1.26 to the euro. 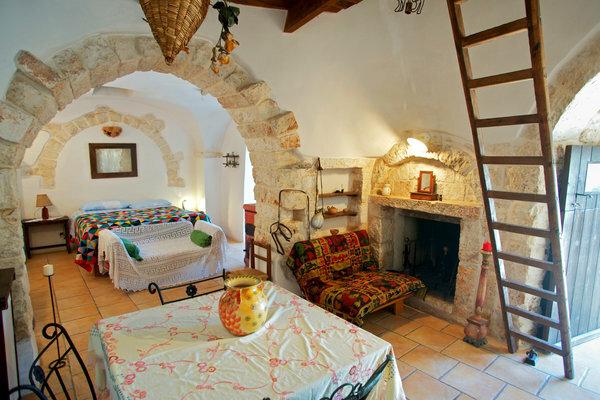 Casa Della Scrittrice, Sessana Grande, Ostuni; (39-327) 359-9532; casadellascrittrice.com. Rates start at 80 euros. Borgo Egnazia, Savelletri di Fasano, Brindisi; (39-080) 225-5000; borgoegnazia.com. Double rooms start at 220 euros. Cremeria History Vignola, Via San Quirico, 28, Cisternino; (39-080) 444-1055. Baol, Via Martina Franca, 3, Cisternino; (39-348) 859-5551. Osteria Bell’Italia, Via Duca D’Aosta, 29, Cisternino; (39-080) 444-9036. In the summer, it’s virtually impossible to get a table at the charming Taverna della Gelosia (Via Andriola, 26, Ostuni; 39-0831-334-736; tavernadellagelosia.it), but off-season you and a handful of locals will have the place all to yourselves. The antipasti are hearty — flans, mousses, Parmesan puffs — yet all prepared with local delicacies. Just save room for the homemade pasta. Masseria Il Frantoio, S.S. 16, km 874, Ostuni; (39-0831) 330-276; trecolline.it. Pomona, C. da Figazzano, 114, Cisternino; (39-333) 367-0653.